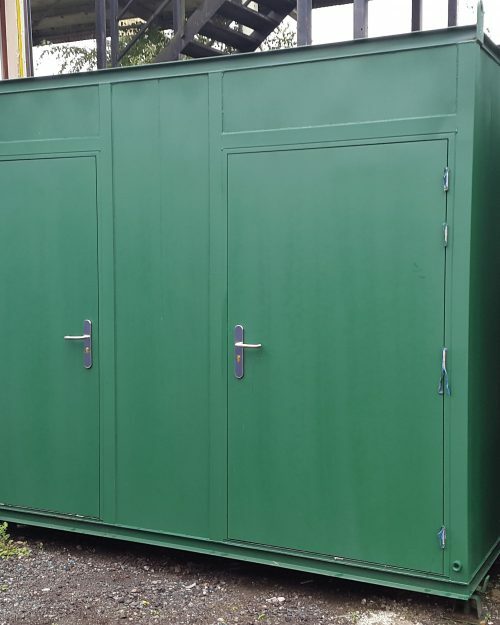 One of Wintech Modular’s significant strengths is in the area of site services whether it is full installations, relocations, refurbishments or simple repairs and maintenance for all types of modular and portable buildings. We are extremely flexible in our approach to our modular building services and can merely supply labour only to augment your own site teams all the way through to the opposite end of the spectrum by totally planning and controlling the full modular building installation by organising all transport, lifting, safety labour and materials. 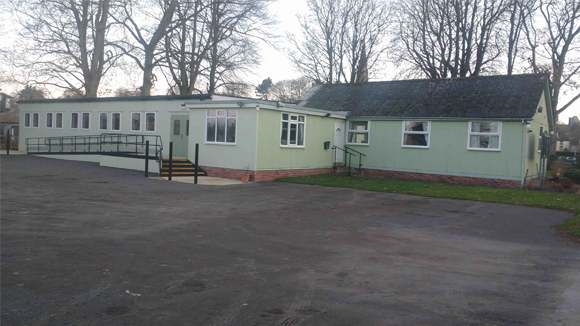 We can provide foundations for all types and sizes of modular building services. 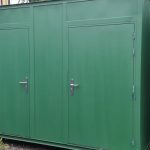 The design of the foundations will be undertaken by a structural engineer taking into account the ground conditions and the nature of the installation, that is whether the installation is a temporary site construction office or a more permanent establishment. We will survey the site, prepare layout drawings and construct foundations to meet the design brief. In addition we can carry out the works for underground drainage and construct access paths and other landscaping works. 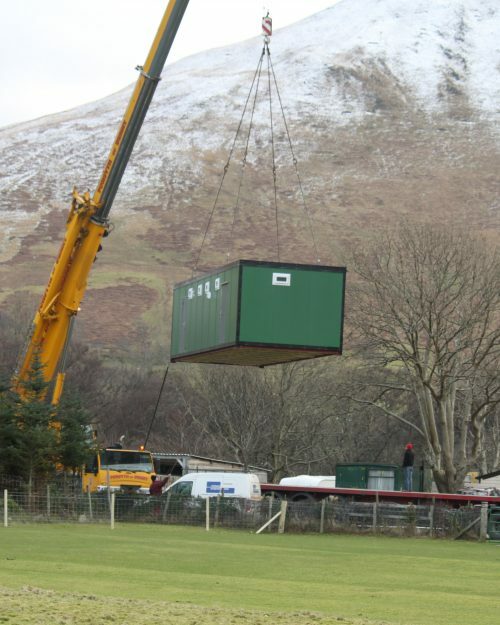 Modular building dismantling can sometimes be approached like a demolition exercise, however, at Wintech Modular we recognise that dismantling is equally as an important activity as installation. A properly dismantled building should allow for it to be re-installed correctly without the need for it to be repaired, modified or require the manufacture of additional shims and packers. The most important part of dismantling is to minimise any damage to the building and this is mainly achieved by having a proper understanding of the building’s design and how it was originally installed as damage is usually caused by site personnel attempting to take apart elements that either should not or need not be dismantled. 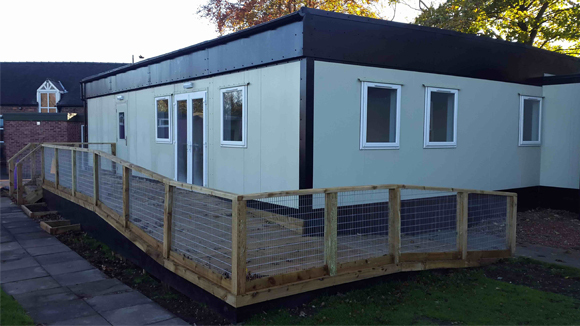 The experience amassed by Wintech Modular over many years ensures this important and often underrated activity is carried out in a professional manner so as to ensure the life of the building is not shortened or that avoidable problems are encountered further down the line. The correct installation of any building requires careful planning starting with a site survey to ensure foundations are in the correct position and are level within the required tolerance. It is important to ensure sufficient site personnel with the correct skill sets are deployed during the initial delivery and off-loading phase and subsequently for the fit-out. Installation of any building involves an initial process of off-loading, lining and levelling the building. 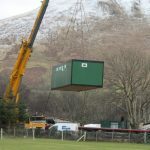 In the case of modular buildings the individual bays are then bolted together and the building made watertight with external bay joints to the roof and wall. Internal bay joints to the ceiling, walls and floor are then added with all trims matching the building finishes. External gutters are fitted and internally bay to bay service connections (water, drainage, electric etc.) are made and tested. The building is cleaned and handed over to the client. 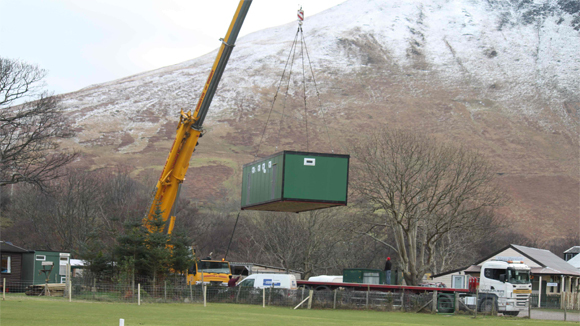 Wintech Modular have extensive experience installing all types of portable and modular buildings both externally and within traditional buildings, many on sites with challenging access issues and requiring novel solutions such as air skates to manoeuvre buildings into position where cranes, hiabs and fork trucks cannot operate. 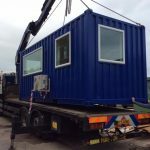 We have a wealth of knowledge and experience in modular building services, having worked in a wide variety of environments from the back gardens of private individuals, commercial premises, construction sites, local authority premises such as schools through to highly regulated sites such as airports, power stations, ministry of defence establishments and police stations. Irrespective of the size of contract, the complexity of the work or the site we are working on, safety is our number one priority to protect the health and well being of our clients, our personnel and the wider general public. We use a library of generic method statements and risk assessments which are supplemented by contract specific documents as necessary. All our site operatives are CSCS qualified and hold licences to carry out site specific tasks such as slinger and banksman, fork truck driving and first aid etc. In addition we carry all necessary insurances to cover all the activities we are involved with.